If you are a medical resident looking to make some extra income, moonlighting jobs in locum tenens may be a great opportunity for you. You can test drive practice settings, locations, jobs, and more through various locum tenens healthcare job placement opportunities. As a medical resident, it’s important to understand your residency program’s policy on moonlighting jobs. Some programs require approval from a supervisor for moonlighting work, and many will only allow top-performing third year residents to work locum tenens opportunities. Residency programs have the right to withdraw a resident’s moonlighting privileges if it interferes with their patient responsibilities and performance. 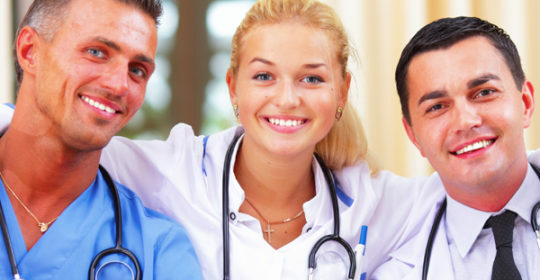 Our reputable Mint Physician Staffing agency understands that medical residents have strict rules and regulations surrounding additional hours. The Accreditation Committee for Graduate Medical Education caps the number of combined educational and work hours at 80 per week for medical residents. Residents also must have a day off during the week, and cannot be on call for more than 1 in 3 nights. Additionally, first year residents and residents on a J-1 visa sponsorship are not allowed to work moonlighting jobs. Our locum tenens agency works with medical residents to ensure that their healthcare job placement makes sense for their workload and schedule. Once you have determined that you are eligible to work locum tenens opportunities, give us a call to determine which moonlighting jobs and opportunities work for you. Moonlighting has many benefits, especially financial benefits. Moonlighting physician rates are paid on an hourly or shift-work basis and can range from $40 to $100 per hour – or higher if working on a national holiday. Locum tenens opportunities and the extra income they bring can help medical students pay off student loan debt. From an experience standpoint, moonlighting can set you apart from your fellow residents. Your resume will stand out among the rest because of your additional experience. There are two types of moonlighting that a resident can consider, internal and external. For internal, you can moonlight within the residency program, serving in the hospital, emergency room, or clinic of that institution. Residents can also consider external moonlighting outside of the residency program. To do this, the resident must have a state physician license number and a Drug Enforcement Agency number for state-controlled substance registration. Remember, your residency program has no legal or professional responsibility for a resident who moonlights outside of the institution. Make sure you protect yourself when moonlighting. When you inquire about locum tenens opportunities, it’s important to clearly understand expectations and duties, as well as hold quality medical malpractice insurance. It is advisable to work during your free time, not in between difficult shifts, to avoid burn out. Clearly document every service rendered and consult specialists in difficult cases. Once you know that you are eligible to work moonlighting jobs, it is important to find the right fit for you. Consider a variety of options. Outpatient shifts are typically shorter than inpatient shifts and are often looking for support on evenings and weekends.